I love to cook outside and just about any kind of meat will do. It just all tastes better on the grill. My favorite side (or main) dish to go with chicken, steak or ribs is fried rice. Perfect with every BBQ. Super easy to make and you can feed a crowd for pennies. 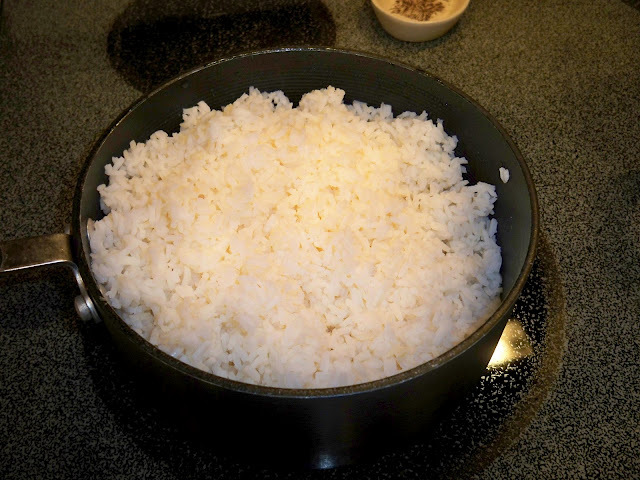 Make a big pot of rice. I like leftovers if there is any, so I make a lot. 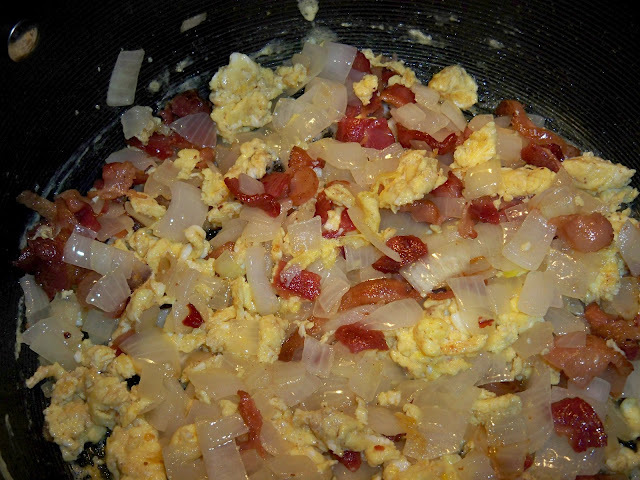 5 strips bacon (I always have partially cooked bacon in the fridge) diced and cook with onions until done. 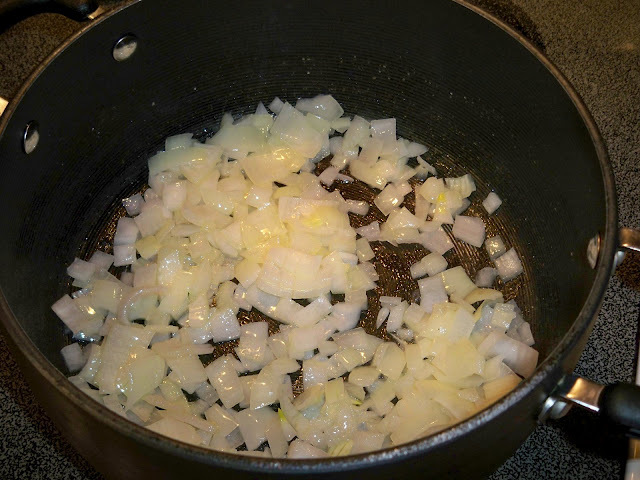 Remove onions and bacon from pan and set aside. add the onions and bacon back into the pan. Mix well. Add all the rice and mix well. Add soy sauce to taste, cook on low, stirring often until heated all the way through. Salt and pepper to taste and you're done. Serve with your favorite meat and side dish for a fabulous feast. 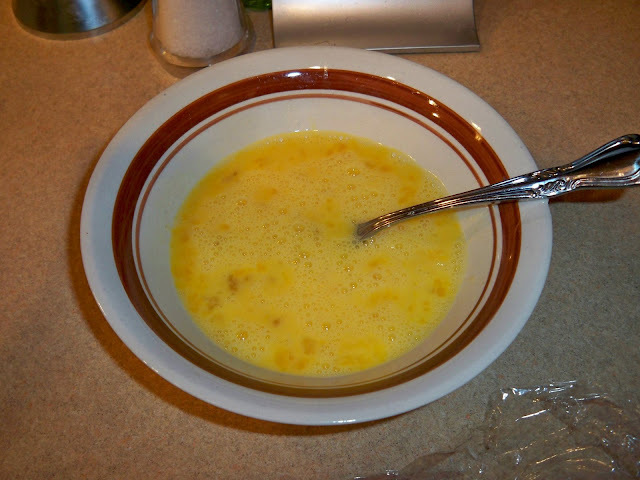 Make it a Main Dish - Just add diced cooked chicken or beef. Yummy!!! This is a recipe that I have shared before, but with the Holiday weekend and a lot of BBQ's, I thought I would repeat it. So good, I am sure it will be a crowd pleaser at your home too. Tat looks so good!! I love fried rice. 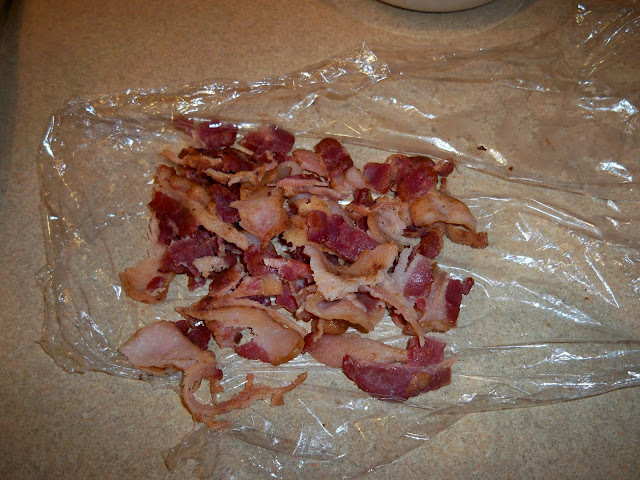 Never had it with bacon!! I LOVE fried rice Marty and that looks real good! I agree meats always taste best on the grill! I grill all year, even when there's snow on the ground LOL! Yum! Love a good fried rice. Thanks for sharing the recipe. That looks delicious, Marty! My husband loves having Fried Rice as a side. He will usually pick some up when we go to the local market ~ he loves theirs. Mmm, looks and sounds delicious, Marty. I'm going to have to make some soon. 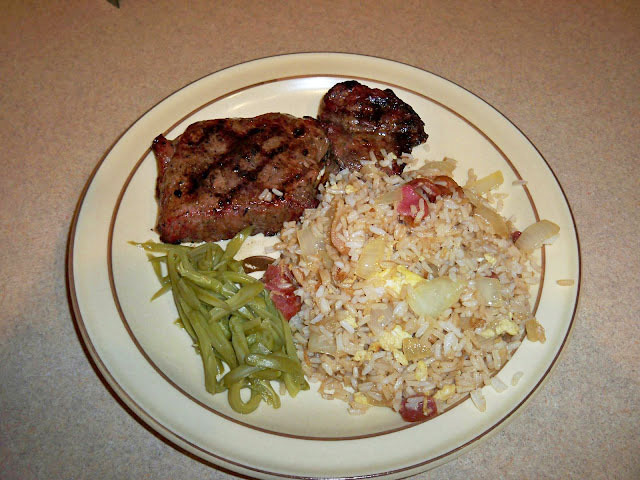 Marty, we love fried rice; and your recipe looks delicious! Thanks for sharing! YuM!!! This looks delicious, dear friend! I'd rather eat RICE than potaotes any day! Sounds perfect to go with steaks, chops and chicken, indeed! Thanks for the visual recipe! Marty I will have to try this recipe! My hubby does not like white rice, maybe he will eat this rice. I know I sure will. I think I will try it! Yummy. I've never made fried rice at home. Sounds delicious and I'm looking for some inexpensive ideas these days. My son will love this. Oh, bacon in fried rice? YUM! 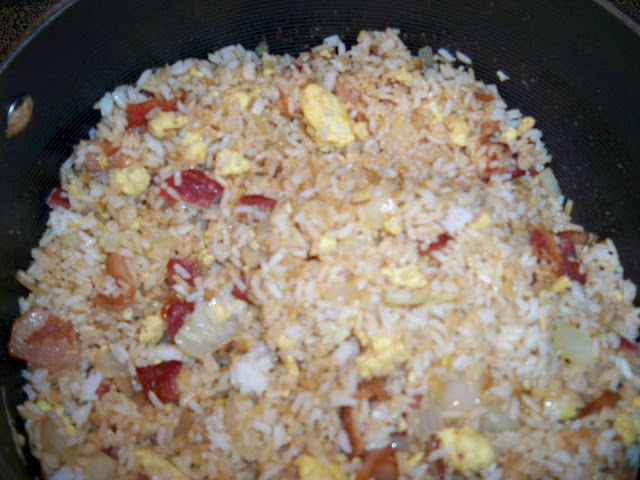 I love fried rice and I never thought of using bacon. I'll bet it adds tons of flavor. Thanks for sharing this delicious sounding and looking recipe. I love fried rice and that looks wonderful. That rice looks fantastic! It's something that my whole family would enjoy too, which isn't always an easy thing to find. This looks yummy. Thanks for sharing. OMG Marty that looks sooooooooo delicious! I love fried rice. I love just about any rice dish. I do make fried rice from time to time and it is so easy. Well, this is definitely getting "pinned," & I'll be making this very soon! Sounds relish, Marty!